What is unique about these treats? There are eight different condition specific treat varieties, not including the mini treats (made just a bit smaller for toy and small breeds). All of their treats are wheat and gluten-free. Health is full of antioxidant rich, organic blueberries, whole grains and organic vegetables from whole food sources including grains, fruits, vegetables and herbs with no addition of sythetic vitamins, fillers or additives. There is no wheat or gluten- barley,oat and rice flours. Joint is a blend of organic cherries, organic apples, flaxseed and whole rolled oats. Vital is a tasty blend of peanut butter, flaxseed, whole rolled oats, and pea protein to help support a healthy lifestyle and promote vitality. Vital has 35% more protein than all the other treats. These are great for supporting normal, healthy growth and development. Does your dog have "doggie breath"? Try Breath treats. These are a blend of sweet milk and toffee extracts helps keep breath fresh, while healthy whole grains, organic fruits and vegetables, and whole flax seeds promote wellness and health. Chillout treats have lavender, lemon balm and French Vanilla to help ease stress and anxiety. They are naturally low in calories and have no added salt, refined sugar, synthetic vitamins or preservatives. 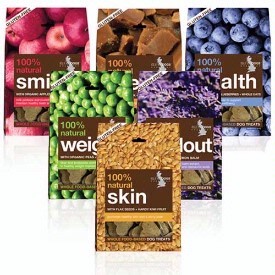 Smile treats are full of crunchy baked grains and organic apples to scrub tarter. All ingredients are from whole food sources including grains, fruits, vegetables and herbs with no addition of sythetic vitamins, fillers or additives. Skin treats support healthy skin and thick, shiny hair. Full of organic apples, kiwi fruit, flaxseed, carrots, dried kep, parsley and yucca extract. 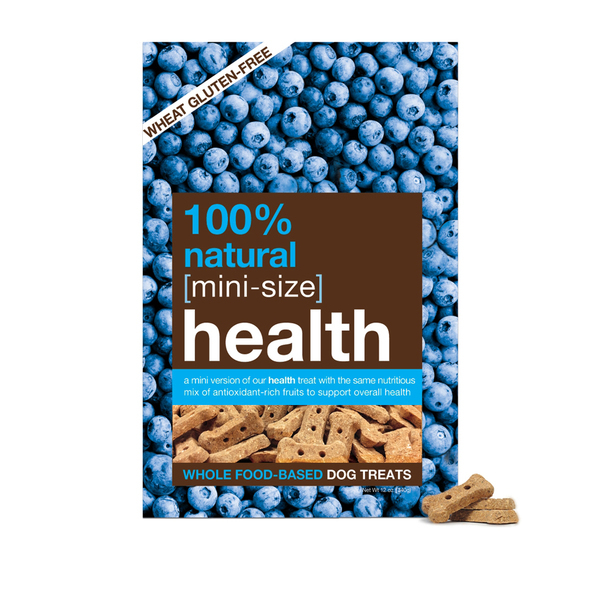 Isle of Dogs Natural Weight Dog Treats is a low-fat treat which combines organic fiber-rich peas and rolled oats with a patented strain of probiotics. Aids in smooth digestion and supports healthy intestinal tract. 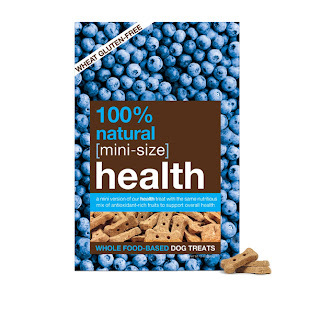 There is also mini-versions of Joint, Health and Vital for smaller dogs. Find great healthy dog treats that are made in USA at Mickey's Pet Supplies. and low flat rate ground shipping anywhere in the U.S.